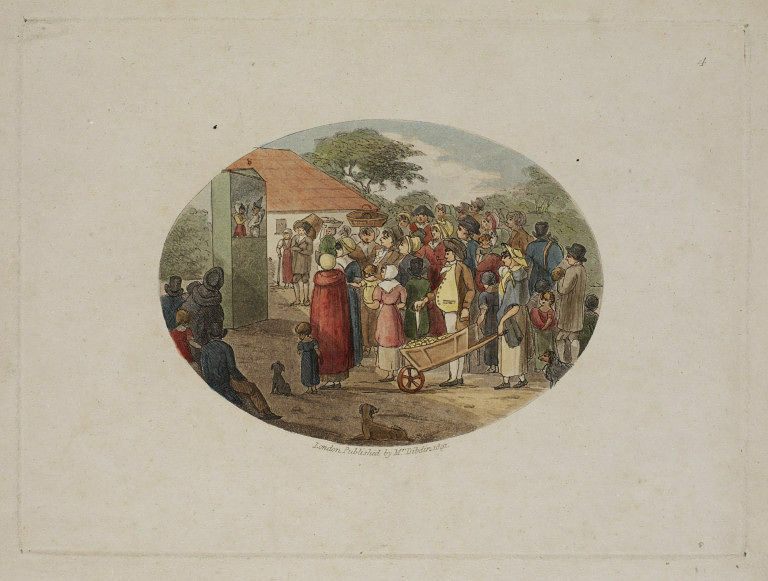 Print depicting a crowd of people watching a Punch and Judy puppet show. Published in London by Charles Dibdin in 1801. Hand coloured etching and aquatint depicting a crowd of people watching a Punch and Judy puppet show. 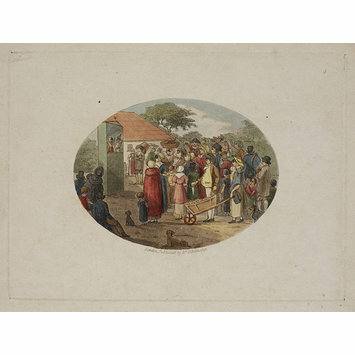 Print depicting a crowd of people watching a Punch and Judy puppet show in the countryside. Hand-coloured engraving, published in London by Charles Dibdin in 1801, George Speaight Punch & Judy Collection.